Attach to a Hobbit hero. Restricted. 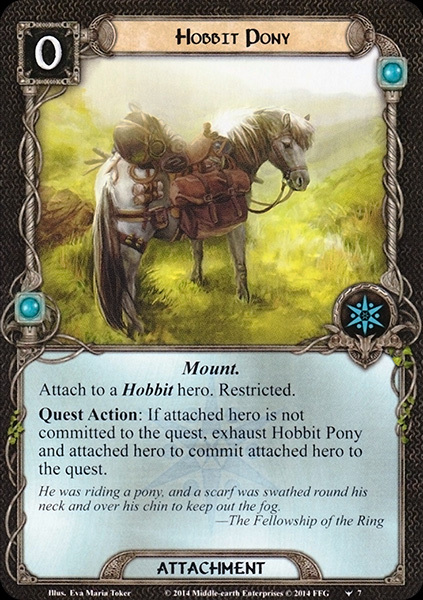 Quest Action: If attached hero is not committed to the quest, exhaust Hobbit Pony and attached hero to commit attached hero to the quest.